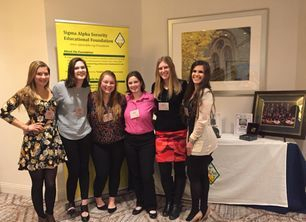 Sigma Alpha is a place where you can feel at home and make UConn feel smaller. Our common interests make it easy to bond and find life long sisters. 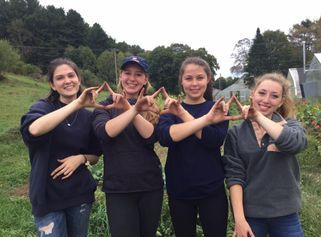 Our National Sigma Alpha Philanthropies include Agriculture in the Community and Heifer International. Ag in the Community is a national mission to stimulate interest in agriculture in young people through providing educational sessions. We also are supporters of Heifer International, which is an organization that provides livestock to people in developing countries, allowing them better quality of life. We also participate in different service activities on campus. 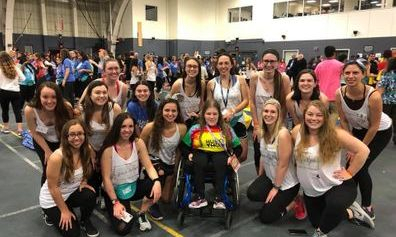 In 2018 we raised over $10,000 as a sorority for Connecticut Children's Medical Center through participating in HuskyTHON - an 18 hour dance marathon. 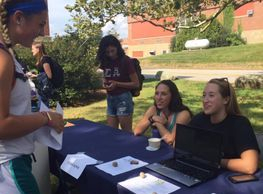 We also host a fundraiser in conjunction with UConn Volleyball's Dog Pound Challenge Tournament, with the goal of raising money for local animal shelters. Advancing women in the agricultural field requires tremendous leadership. We strive to provide a comfortable environment for all members to be able to grow their confidence and public speaking skills. Academics are very important for all members of Sigma Alpha. Our minimum required GPA is 2.5, but we challenge members to strive for excellence in this area. 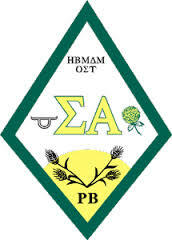 All members with a GPA of 3.75 or greater receive Emerald Scholar Awards from the national organization. We are always trying to advance our academics through study groups, sister tutoring, professional development seminars, and a library hour competition.